Is it time for a universal dress code on planes? REMEMBER when people used to get dressed up to fly? Me neither. But I've read enough glowing cliches about the "golden age of travel" to know that wearing thongs and tracksuit pants on a plane was not going to fly (literally and figuratively). 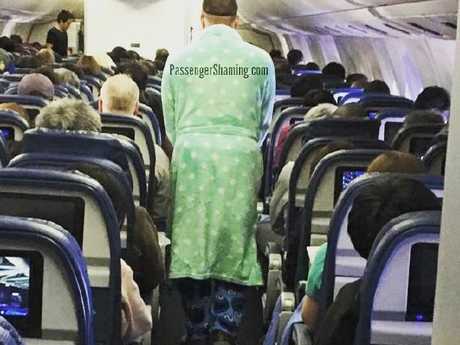 Nowadays, there are entire blogs and social media accounts dedicated to #passengershaming. I'm not about invading someone's privacy by blasting them on social media (at least not without confronting them about their behaviour in person), but it does seem like despite how common air travel has become, etiquette has gone out the window. These days, strict airline dress codes apply to employees and buddy pass travellers. Last year, United Airlines made news when it denied boarding to a couple of teenagers who were wearing leggings. And recently, a woman on an American Airlines flight was denied boarding for wearing ripped jeans. Since then the airline has clarified that "all employees and pass riders are considered representatives of United, and like most companies, we have a dress code that we ask employees and pass riders to follow". The airline further clarified that passengers in this category should "blend in" with other passengers and avoid wearing clothing that "is vulgar or violates community standards of decency". That's fair enough but to play devil's advocate, why does this apply to only buddy pass holders? I understand employees are representatives of their airline when off-duty, but why are these rules applied to their family members? They're not exactly recognisable as affiliates of the airline. If the airline was applying a dress code to all travellers, I would understand, but imposing it on friends and family of employees who are not identifiable to the public seems a little odd. And if appropriate dress is important on an aeroplane, why not enforce this rule for all travellers? Remember when air travel was glamorous? Nah, we don’t either. 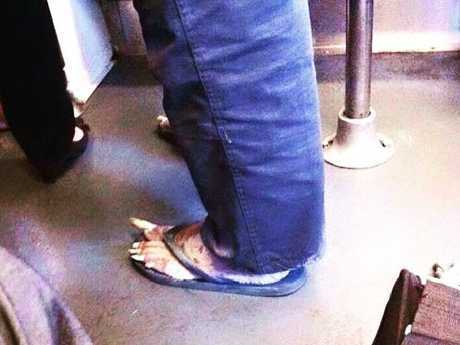 I'm all for dressing appropriately in public and especially in a confined space like a plane. While I like to be comfortable at all times, my rule of thumb is not to wear anything I would be embarrassed about if I ran into my boss. And I really appreciate it when other people around me do the same. After all, in public you do have to be considerate of others and what you wear is a big part of that. But why not impose a dress code on all passengers and make flying just a little more special again? Besides, do "vulgar clothing" worn by airline employees and their family members violate "community standards of decency" more so than those worn by regular passengers? But who is to say that dress codes should be limited to aeroplanes? Flying is no longer a "special occasion", it's pretty much akin to riding the bus (though slightly less gross). Why do we insist on a dress code on aeroplanes and not buses? Or taxis? Or any other public place? And is it fair to impose these dress codes selectively? After all, asking people to refrain from wearing sleepwear, underwear, and swimwear while travelling means fewer Kardashians at the airport. I say either impose a dress code on all passengers or none at all. This story originally appeared on FlyerTalk and was republished with permission.